Cite Soleil lies at the lowest point of Port-au-Prince, which means that all of the City's trash flows down stream. Waste is a huge issue in this city. 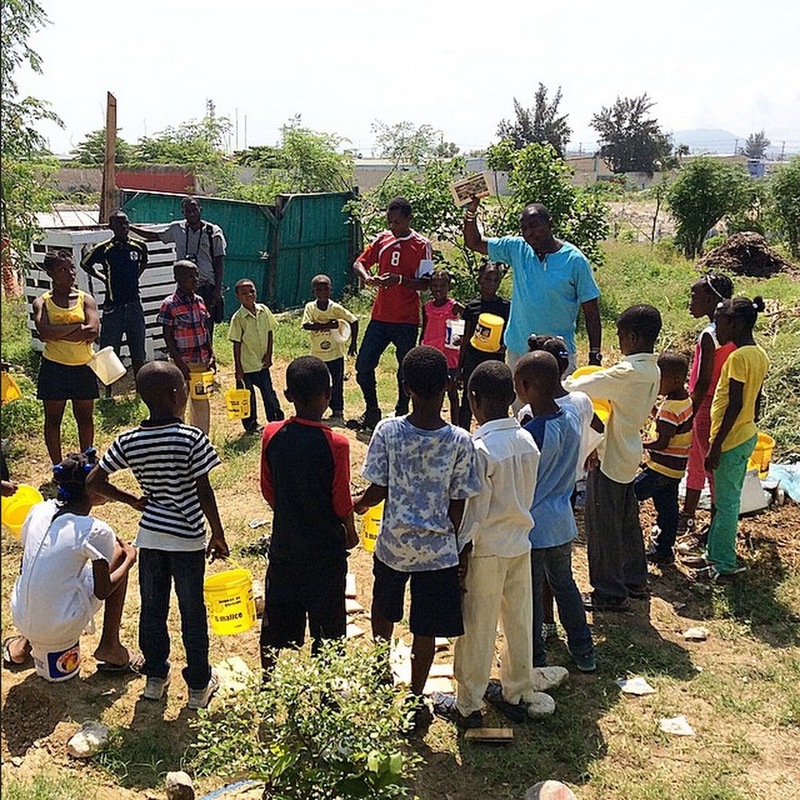 Jaden Tap Tap, Haiti's largest urban farm, plans to turn this waste into compost. 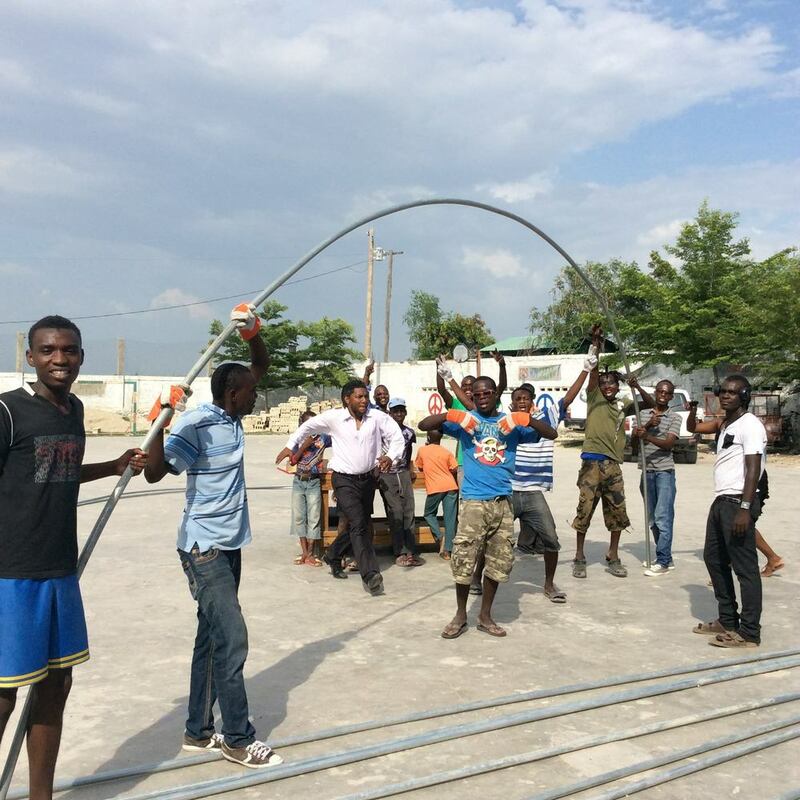 The goal for Jaden Tap Tap is to grow their own soil, to replace the contaminated soil at the urban farm at SAKALA. 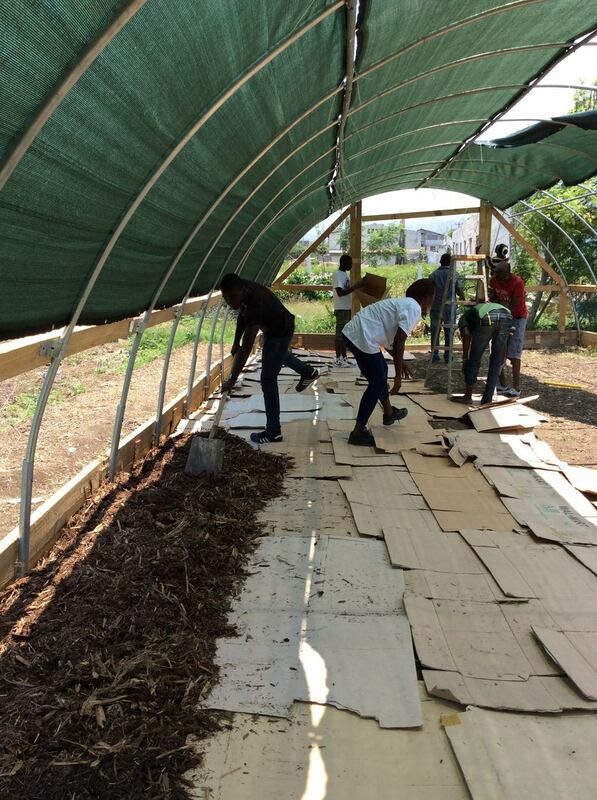 This is Waderson and Mackenson, urban farmers showing off their worm composting. 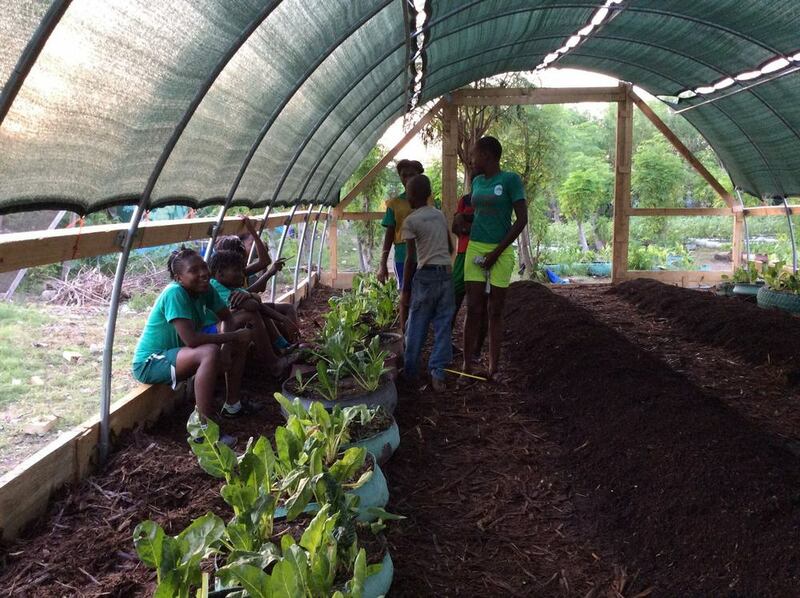 The Kodelit, or youth program, has 8 teams of 15 students learning about agriculture and reforestation at the farm. 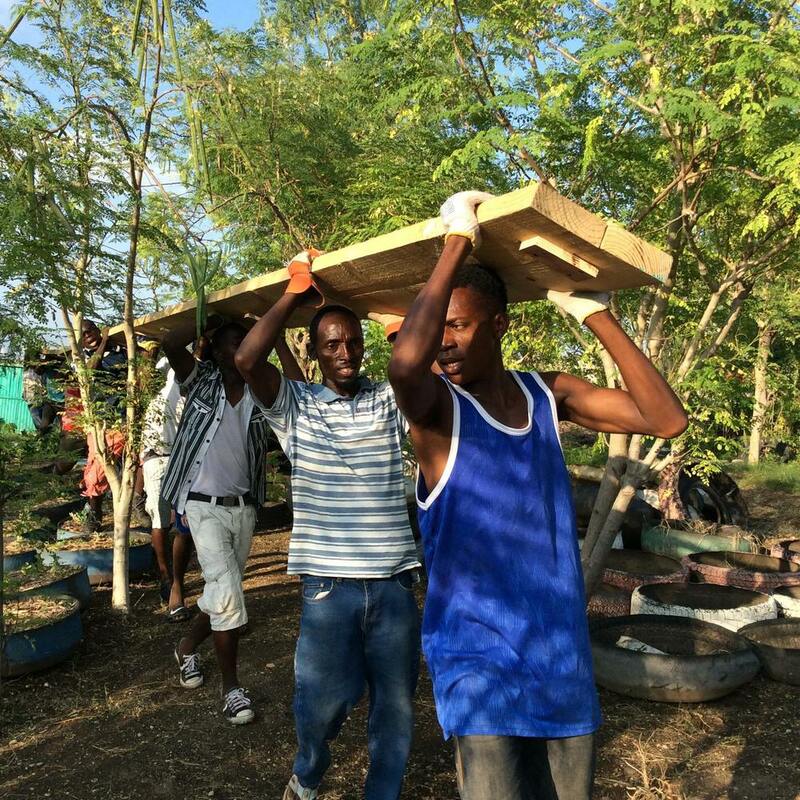 This is Jaden Tap Tap, the largest urban farm in Haiti. One thing that doesn't #growslow here is the Moringa tree. It is used for food, shade, fencing, and more. Also, to help with reforestation because it can grow 13 feet in just one year. This crew worked so very hard -- all day, everyday. Today in 97 degree heat. Amazing.